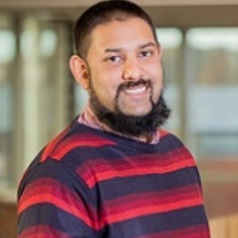 Dr Mustafa Sarkar is a Senior Lecturer in Sport and Exercise Psychology and teaches across the undergraduate and postgraduate degree programmes. He is Module Leader for Advanced Topics in Sport and Exercise Psychology as well as contributing to several other modules across the undergraduate curriculum (e.g., Introduction to Research). He is also the Module Leader for the postgraduate module Current Issues in Sport and Exercise Psychology (MRes Sport and Exercise Psychology). Dr Sarkar joined the Sport Science Academic Team at Nottingham Trent University in September 2015. He graduated from Loughborough University in 2008 with a first-class honours degree in Sport and Exercise Science. He went on to complete a Postgraduate Diploma in Psychology (with distinction) from Middlesex University to achieve Graduate Basis for Chartered Membership (GBC) with the British Psychological Society (BPS). In October 2009, he returned to Loughborough University and gained a distinction on the MSc Psychology of Sport and Exercise programme. Following this, in 2014, under the guidance of Dr David Fletcher at Loughborough University, he gained his PhD which investigated the assessment of psychological resilience in sport performers. Before arriving at Nottingham Trent University, Dr Sarkar served a post-doctoral role at the University of Gloucestershire. Specifically, he spent two years as a Research Fellow in Sport, Exercise and Wellbeing working within the School of Sport and Exercise, across the Faculty of Applied Sciences (psychological sciences subject group), and with external partners to develop the Faculty's research profile in related areas.